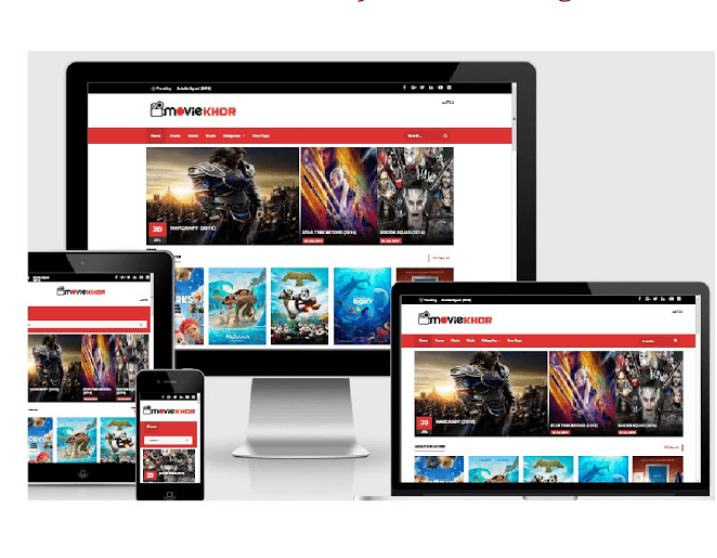 MovieKhor Professional Movie Blogger Template is the best theme that comes specially for the film blog. Because this is loading your blog fast, but it comes with some other advanced features. The biggest reason for using that it helps you to easily browse your site for your loyal readers. This means that this is a fully responsive design. Trusted readers can easily reach your site in many places around the world. It's a good header section that you can use to increase their revenue by displaying their ads and blogs. This is a beautiful navigation bar link from your most important page. READ ME FIRST:- Awesom Feature.. Best film review theme 2018.. .. Seo and js file Optimizes.. .. The idea of ​​this high quality blogger template is to review the websites that review the most popular videos or movies. But you usually have to visit some popular sites and in general, they want to use this type of blog-based unique look. Due to the clean and fast loading design,. will also help increase your ranking in search results. That's why we recommend your readers to use this for your movie blogs. Moviekhor mobile friendly blogger template is a very good friend, after a long time, we are now sharing this .Movie Maker is the best and professional movie theme it is perfect for all kind of movie downloads or movie review blogs. You know, Gourab Design share the best and free Premium Blogger Template of all types. This is the best choice for you..
Moviekhor is a high quality and SEO friendly and well-loved movie blog. You can use this to host a blogspot blog that can be used on every movie review or movie download site. Gourab Design is one of the best sources of download This is absolutely free for you. Hello. You just add your lebel name for this widget. Edit this template from any notepad. There see my blog address.